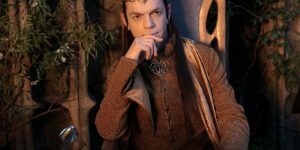 Tauriel is a fictional character that appeared in the popular movie The Hobbit: The Desolation of Smaug, the second film of the The Hobbit trilogy based upon the book by J.R.R. Tolkien. The character of Tauriel is not original to The Hobbit book, and does not appear in the first movie of the trilogy. She is actually a character that was created especially for the feature film by Fran Walsh and Peter Jackson. Tauriel’s name means “Daughter of Mirkwood” and she is a Woodland Elf who serves as head of the Mirkwood Elven guard. Tauriel is known for her extremely long reddish hair and her ability to proficiently handle weapons such as daggers and a bow and arrow. Adding another female character to the fantasy world created by J.R.R. 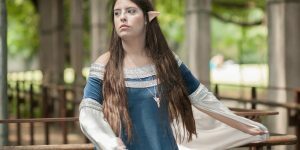 Tolkien gives young girls and women the opportunity to portray their favorite female character from the Hobbit movie this Halloween, or for Cosplay and dress up fun. 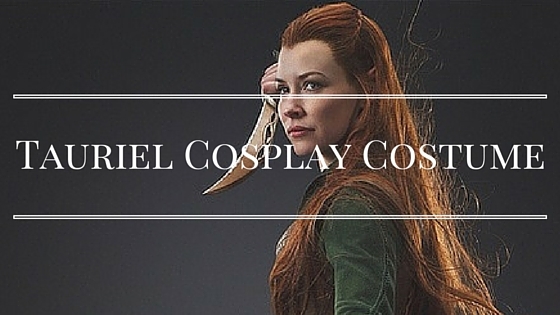 Here are some great ideas for creating the perfect Tauriel costume. 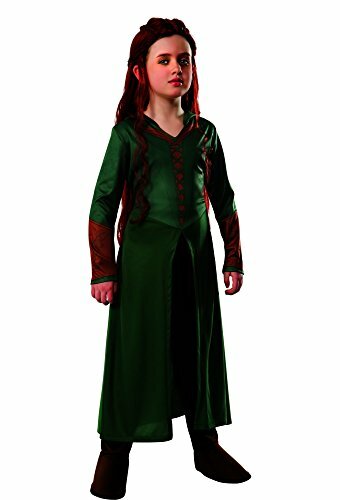 This children’s sized Tauriel costume comes in sizes small, medium, and large. The costume listing comes with very limited product description, but it appears to be a one piece jumpsuit with the skirt part attached, or a one piece top/skirt with separate bottoms. The bodice of the costume is green with accents of brown, and features the laced up corset look of Tauriel’s dress printed onto the costume design. The sleeves are green until slightly below the elbows where they are brown printed arm guards which have a detailed design printed on them. The bodice gives way to a full green skirt which is split from top to bottom. Underneath the skirt of the costume are the brown pants of the jumpsuit. The costume also comes with brown boot covers to cover the shoes of the wearer to look like actual brown boots. This way, the child can wear whatever comfortable shoes or boots they have for a night of trick or treating or Cosplay fun. 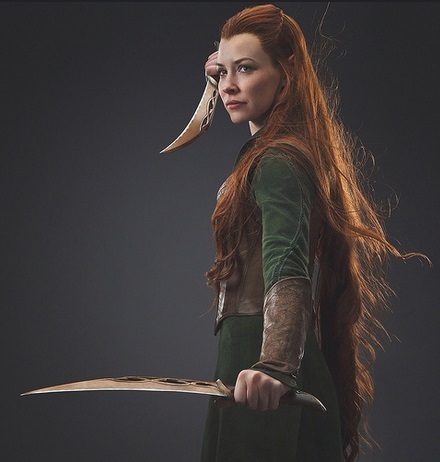 Costume would look perfect and very authentic with Tauriel wig and elf ears. This wig includes both the wig and wig cap and measures 39.4 inches in length. Very authentic in the light brown/reddish color and features the pretty braids that form a V shape, as well as two other side braids that all come together in a ponytail in the back while the rest of the hair hangs down. 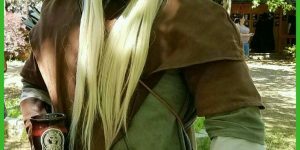 This wig fits most head sizes, but the length may be a bit overwhelming for pint-sized Tauriels, and may require a few inches to be trimmed off the back for the younger ones. The wig is made in Japan from high temperature resistance fibers. 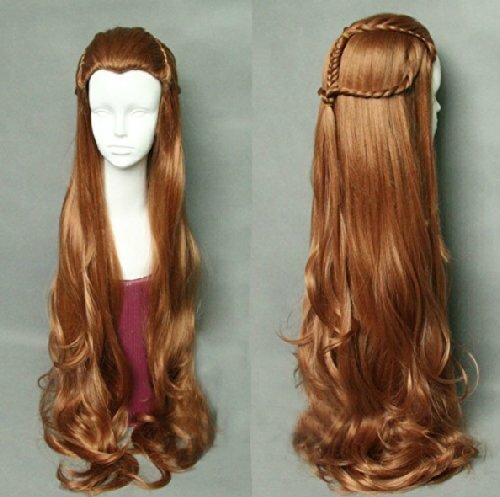 This wig is very true to the hairstyle of Tauriel featured in the movie and makes a perfect Cosplay accessory and also completes any Tauriel Halloween costume. 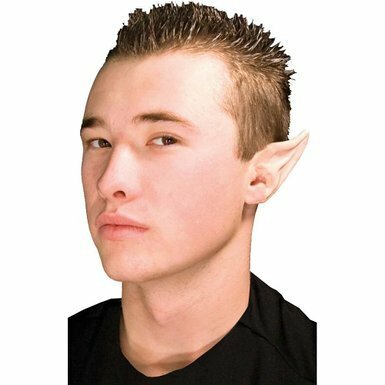 These latex costume ears come in one size fits most and fit right over your own ears. There is a hole so that you can still hear while wearing the costume ears. Perfect for any goblin, dwarf, alien, fairy, Vulcan, or elf (in this case, specifically Tauriel) costume. 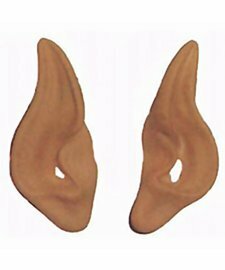 These ears are inexpensive and are great for any Tauriel Cosplay or Halloween costume. 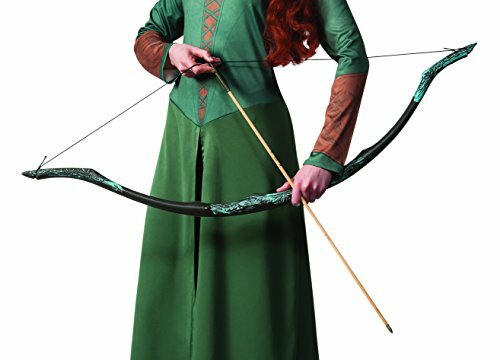 This bow and arrow set may say it’s for Legolas, but it is also the perfect accessory to complete any Tauriel Cosplay or Halloween costume. Items are 100% synthetic and are lightweight. Includes bow, arrow, and quiver which are intended to be used only as costume props. 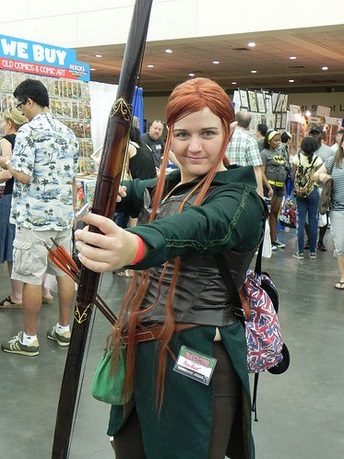 This Tauriel cosplay costume is mistakenly labeled as a men’s costume and contains very little product description. It is unclear if this is one piece with the skirt attached, or if it is one top piece and one bottom piece. The top has a hood and is green with brown accents. Printed pattern on top features the lattice lacing and green sleeves with brown printed arm guards below the elbow area. Skirt portion is a slightly different shade of green with split that goes from the top of the skirt down the middle to the bottom of the skirt. Costume appears to come with brown pants and boot covers that go over the shoes. This cosplay costume is a more elaborate and better made costume for someone who plans to wear it more than just once. Made with high-quality materials that will hold up to frequent wear, it also has all of the costume accessories including belt, bracers, hoodie, pants, skirt and vest. Hand wash only. 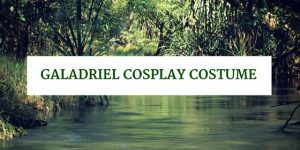 These videos will help you make your own accessories for Tauriel’s costume as well as figure out how to do her hair. Watch these step-by-step videos for ideas and help. 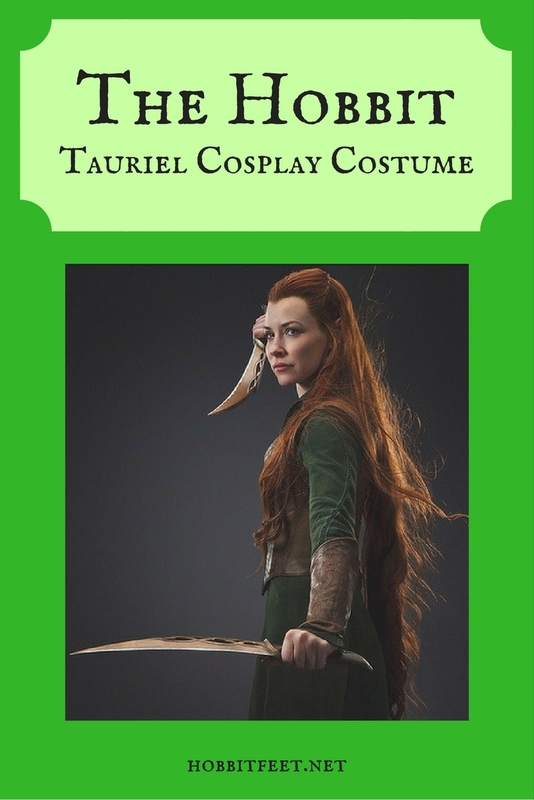 You can also create your own Tauriel Halloween or Cosplay costume by combining separate pieces of clothing to create the look. A forest green V-neck long sleeved shirt could be used for the top part, combined with a brown corset (opt for a laced variety if you can one at a thrift store) Combine these with the plain green skirt, which you could slit up the front and hem the edges. Wear these simple brown leggings underneath the skirt, which you can use as a wardrobe staple for fall and winter as well. 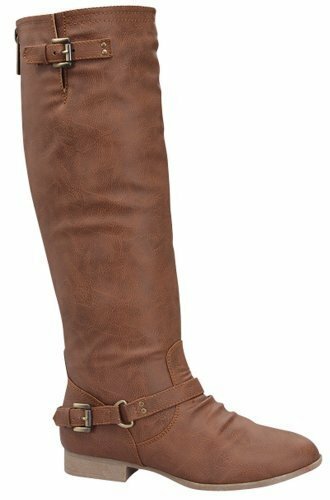 Add these brown knee high boots for a great Tauriel look. To create the brown arm guards, purchase inexpensive felt and some Velcro to cut your own to fit. Decorate the design on Tauriel’s arm guards with fabric paint by referring to pictures on Google images. Accessorize your homemade costume with a purchased wig (the one mentioned above or similar), elf ears, and a bow and arrow set. Tauriel is one of the Mirkwood elves in the Hobbit.